It was exactly six years ago today that I drove my trusted little Saturn into the City of Angels, the crimson sun setting behind the mighty palms. It had always been my dream to move to the West Coast, and at this moment in my life, I was spurred on by a fight for love. Sadly I was met with anything but. And so began the darkest years of my life: alone, jobless, and heartbroken in the vast and lonely sea of Los Angeles. In a moment of desperation, I dragged myself into my neighborhood yoga studio. And that seemingly small decision would forever change the course of my life: it would be my first step into a profound healing journey and the beginnings of a major life transformation, the likes of which I never could have imagined. Yoga led me to Peru. Peru led me to San Francisco and here I discovered a whole new Jeannie and a whole new life: a beloved community, an unexpected and dramatic career turn, a book, so many magical experiences and powerful manifestations. It has been a story that this writer never could have written. For six years, California has been home. In fact, from the moment I arrived here, I felt like I had come home. When my heart was broken, Los Angeles held me in her warm embrace and surrounded me with her Angels. California has taken my breath away with her unrivaled beauty: her brilliant sunshine, her majestic mountains, her pristine ocean. 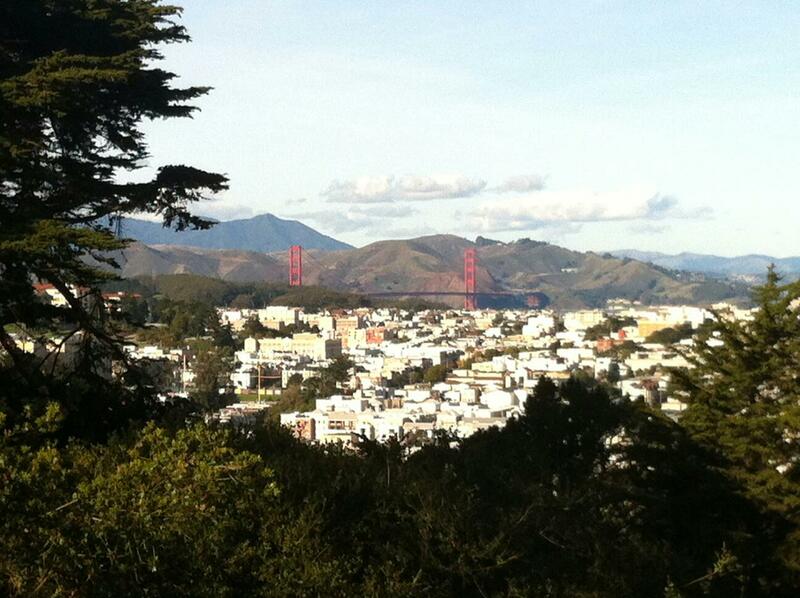 And then there was San Francisco. Oh, San Francisco. With her forward-thinking, progressive, risk-taking mentality, San Francisco has inspired in me a well of limitless possibilities and she has allowed for an energetic expansion beyond all measure. California has cracked my heart wide open and allowed me to connect with the Spirit within and all around me. On a regular basis, I have stood in awe of her outrageous scenery: spectacular views of the shimmering Bay, the electric view of Los Angeles from the Hollywood Hills, the magnificent Golden Gate Bridge, the snow capping the mighty San Gabriel Mountains, the jaw-dropping vistas from the twists and turns of the Pacific Coast Highway, and the mystical fog cradling the dramatic San Francisco skyline. California has changed me. She has saved me. She has inspired me. I am forever grateful for this place. My very first introduction to San Francisco was at the tender age of six when my mother took me and my two brothers across the country on a 2-week train trip. 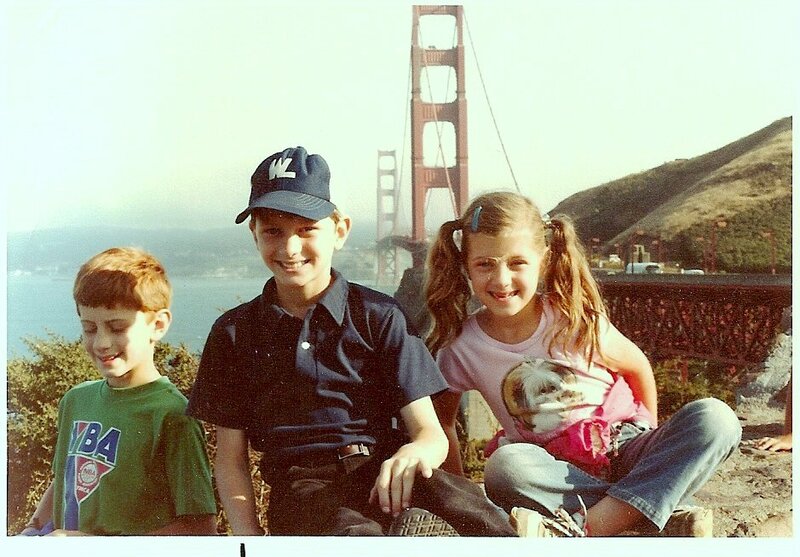 I don’t remember much of San Francisco, except for this photo missing my two front teeth. That and the crookedest street in the world. It, like many experiences of my early years, faded into the recesses of my memory. 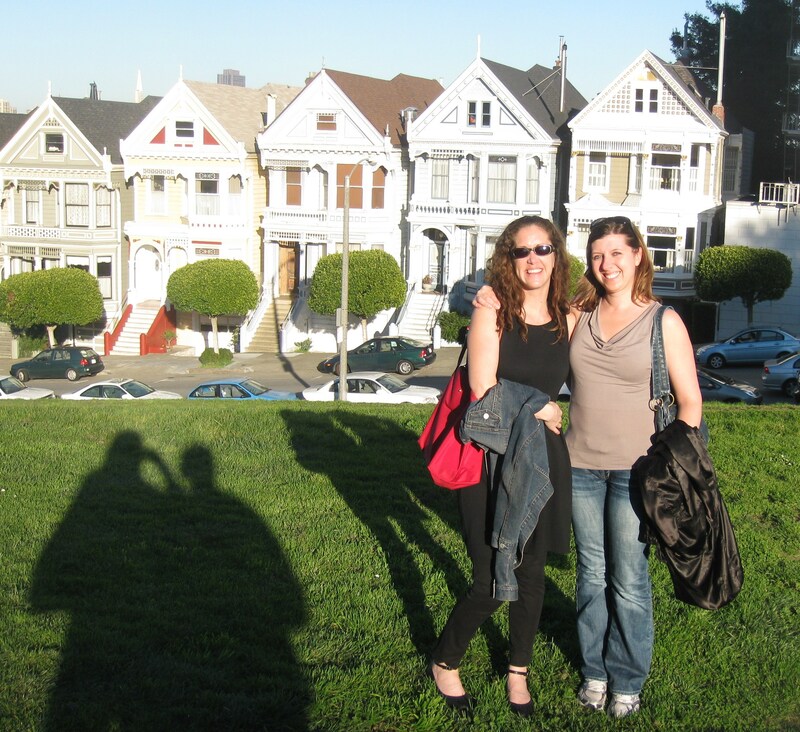 Some 20 years later I would be sitting in my office in Boston, daydreaming about moving to San Francisco with one of my best friends and colleagues. I’m not sure why we had it in our heads that San Francisco should be our destination; perhaps it was the fact that both of our older brothers had already moved there, perhaps it was the adventure of moving west towards a new frontier, perhaps it was the romanticism of a place we couldn’t fully imagine, some place new, different, exciting. Perhaps it was simply the fantasy of leaving everything behind and starting over, a new person in a new life. Despite our daydreams, life had other plans for both of us. She, my colleague and friend, ended up on her own adventures between New York City, Paris and Washington, DC. My own path led me to Washington, DC and then finally west, but to a different destination… Los Angeles. Though I had spent all of that time dreaming about San Francisco, circumstances had led me elsewhere, and San Francisco just didn’t appear to be in the cards. 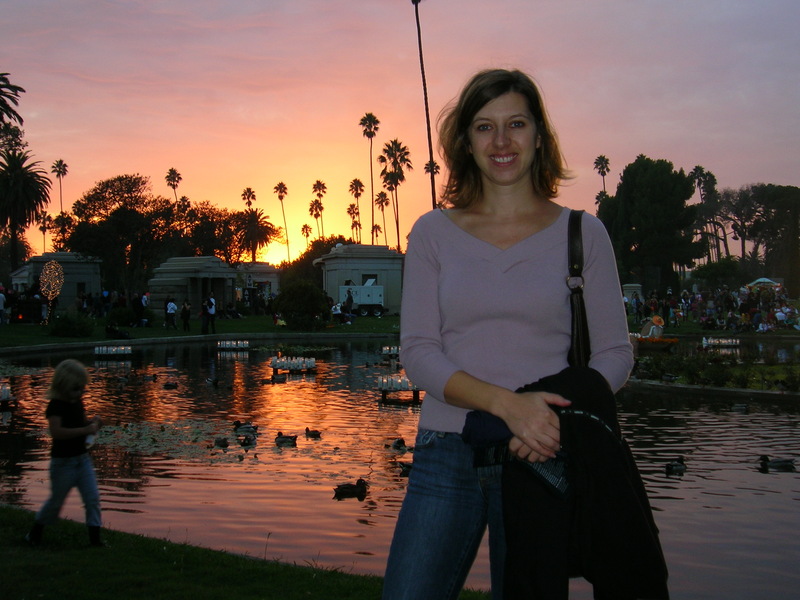 That is until 2009, when a series of events “inadvertently” led me right to the place of my previous daydreams… I had finally landed in San Francisco. At first it was a love-hate relationship. 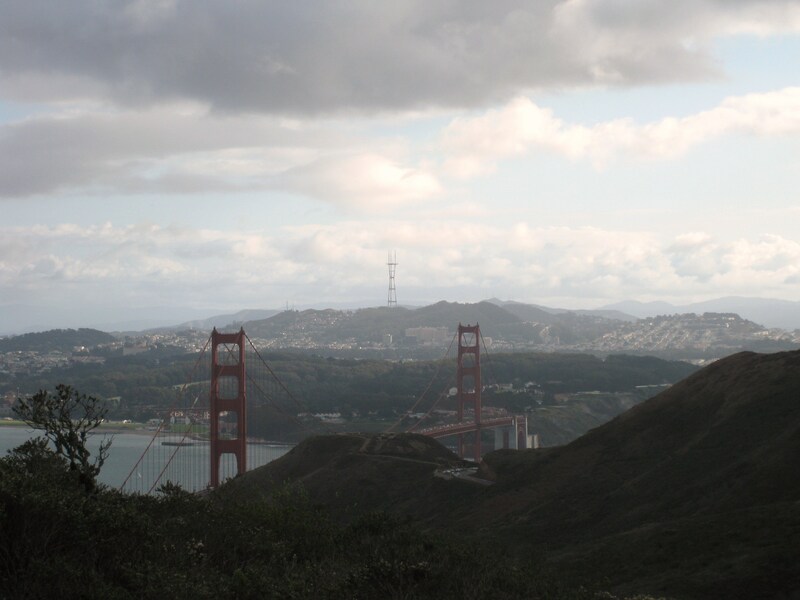 My heart was stuck in Los Angeles, and that coupled with my love of the warm weather of Southern California, meant that I was pretty miserable and found every reason to complain about San Francisco. It was not living up to my dreams of all those years before. Looking out the window I could see that it was dark and I was not looking forward to the walk in the cold, especially when I was so used to taking this lovely walk with the warm sun on my back. 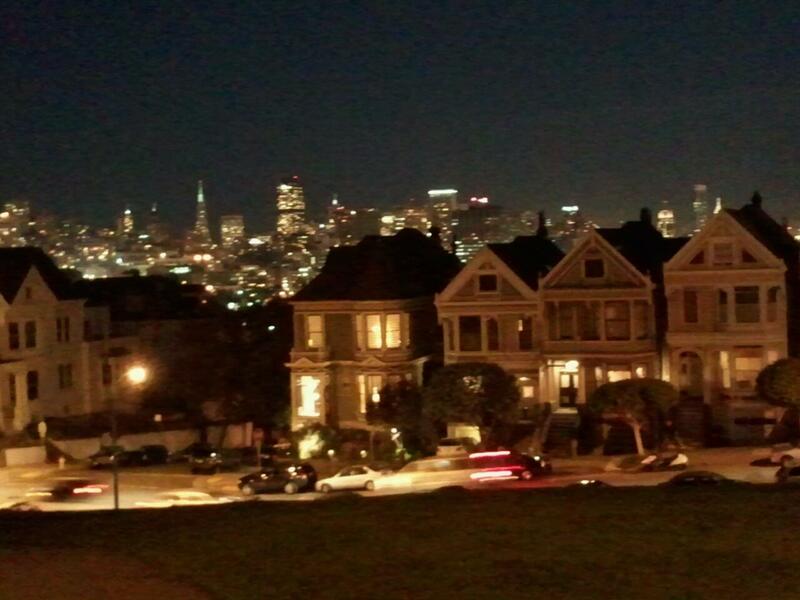 I headed out the door and onto my usual route to yoga, which takes me through Alamo Square, home of The Painted Ladies. The minute I set foot into the park, I once again stood in awe. In the crisp fall air, the city was sparkling with absolute brilliance against the night sky, cradled by the glow of the bright moon above. I was immediately humbled and realized the error of my ways with my previous Facebook post. It was ironic that I was on my way to yoga. One of the themes that we frequently explore in yoga is the embracing of not only the light, but also the dark, the shadow side of life. 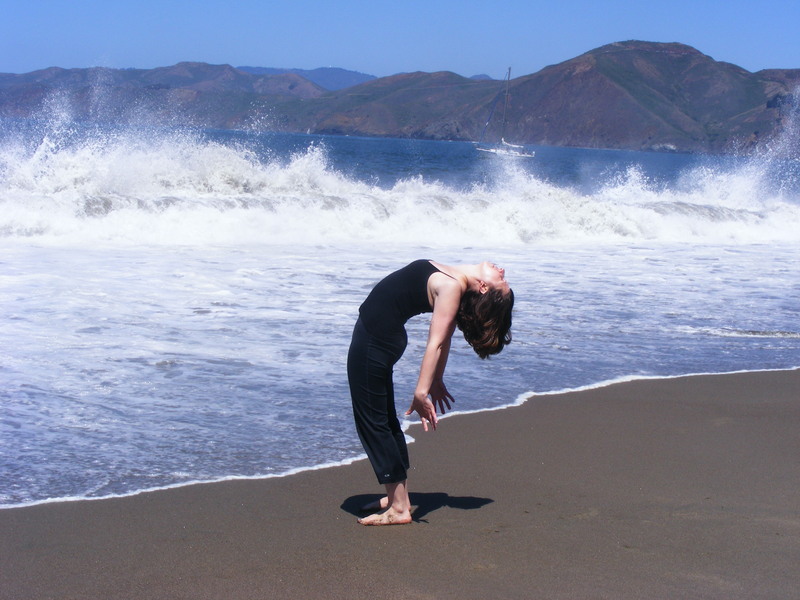 As the seasons change and we move into a darker time, the yoga invites us to explore the darker side of ourselves, our experiences and our emotions. And it invites us to embrace both, to see the beauty in both, the opportunity for growth which comes from each. As I reflected on my dissatisfaction about the days turning into night, I realized that I was missing out on the opportunity to embrace both the light and the dark. And as I walked through Alamo Square and marveled at the beauty of the night scene around me, I felt nothing but wonder and gratitude.